Theresa May and the Conservative Party have confirmed that the UK will leave the EU's single market and Customs Union. The European single market is the most ambitious part of the whole “European project”. It aims to break down all barriers to trading across the 500 million-person area by ensuring the “four freedoms”, being: free movement of goods, services, capital and labour. Currently, as an EU member, the UK has signed up to each of those freedoms which, as Brussels has repeatedly made clear, are non-negotiable. Being part of the single market gives UK businesses access to 500 million customers in all states within it and in turn allows British consumers and companies to purchase goods and services from across the continent. It eliminates tariffs and reduces costs and administrative burdens by applying one set of rules across all member states. A huge 44 per cent of Britain’s exports go to the EU - £220bn out of £510bn - according to the Office of National Statistics. If David Davis fails to negotiate a favourable trade deal with the EU, those exports would be subject to import tariffs as well as extra administrative costs. In the period before any potential trade deal is implemented, the UK would probably have to trade on standard tariffs under World Trade Organisation rules. Which many studies have found that would cost Britain’s exporters (in extra tariffs alone) at least £4.5bn per year. 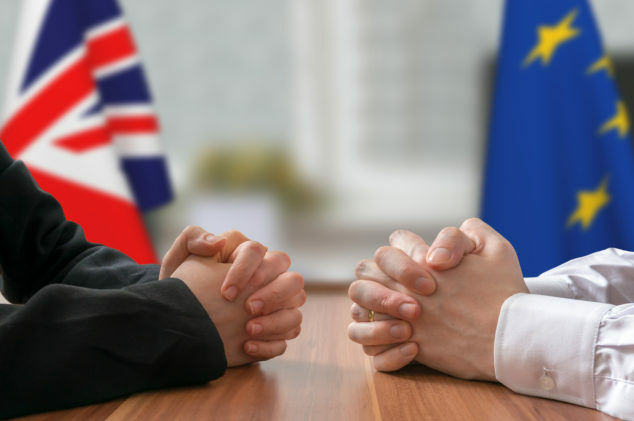 A favourable deal or otherwise known as access to the single market as a non-EU member is to be the deal the government are pursuing when negotiations on trade start in December. It is possible for the UK to have access to the single market without being a member of it, or being part of the Customs Union. The UK could negotiate a deal with the EU that allows access to trade freely with the bloc. The EU has 56 free trade agreements with countries around the world, and is in the process of negotiating several more. On the face of it, this sounds like the option most amenable for the UK; it would avoid the “post Brexit gloom” which would see tariffs imposed on businesses as soon as the UK leaves the EU, and prevent damage and shock to the economy. But, it seems likely impossible for any such deal to be agreed without accepting free trade and paying a net £10bn a year, these being some of the biggest political issues that saw 52% of Britons to vote ‘leave’ last year. Furthermore, leaving the single-market and Customs Union allows Britain to sign as many free trade deals around the world as it wishes, there are already countries world-wide lining up who want such a deal with the UK, including the world’s largest economy the United States. Remoaners and pro-EU MP’s argue that loosing trade with the EU is not picked up by other trade deals around the world. However, PWC state that a new free trade agreement actually increases trade with countries by 30% on both sides. This would act as a huge boost to British exports and would help businesses and consumers massively as imported goods will become cheaper from emerging markets, (like India). This in turn, would most probably see a surge in demand for goods, growing the economies of the trading nations. Every country in the world has access to the EEA. Over 50 non-EU countries have free trade agreements with the EU which don't involve annual payments or the freedom of movement of people. Hong Kong is the EU's 7th largest single market and so is much less important to the EU than the UK is and yet the Hong Kong has its own free trade agreement with the EU which gives it free access to the EEA. This deal took just over 2 years to negotiate. If this is possible for Hong Kong, this should be possible for Britain. We already have 100% regulatory equivalence with the EU, we've no tariffs or quotas to negotiate away and are the EU's most important export destination. This would in fact still benefit the EU and the people of the other 27 nations, in terms of jobs and trade. If the EU were to counter-intuitively block a free trade agreement (as speculated) it would cause more harm than good on their side too.